In the midst of the Fifth Holy Grail War, Caster sets her plans into motion, beginning with the capture of Shirou's Servant Saber. With the witch growing ever more powerful, Rin and Archer determine she is a threat that must be dealt with at once. But as the balance of power in the war begins to shift, the Master and Servant find themselves walking separate ways. Meanwhile, despite losing his Servant and stumbling from injuries, Shirou ignores Rin's warning to abandon the battle royale, forcing his way into the fight against Caster. 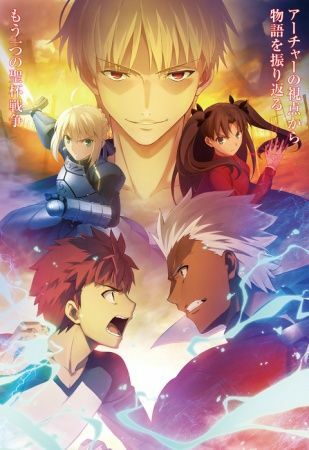 Determined to show his resolve in his will to fight, Shirou's potential to become a protector of the people is put to the test.